Katie Love has been working in clay since graduating from Alfred University. 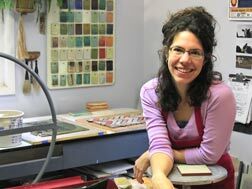 Her tile designs have been commissioned by the State of Maine for the Watershed Conservation Program, the Woodstock Guild for the Byrdcliffe Arts Colony, and published by Lark Books. She has been an artist in residence at Watershed Center for Ceramic Art in Maine, and the Byrdcliffe Arts Colony in New York. 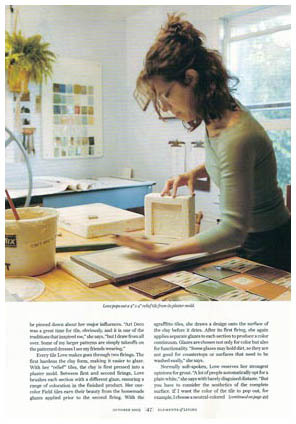 Katie designs and produces her tiles near Woodstock, New York. 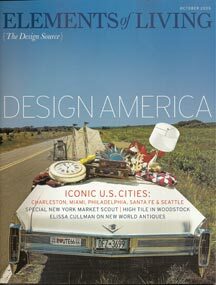 Copyright ©2005 Katie Love Design. All Rights Reserved.